A recording of a conversation between a Director at the Bulgarian Road Infrastructure Agency (RIA) and an unknown lady from Avtomagistrali JSC (Highways JSC, a State company tasked with the maintenance of the country’s highways – editor’s note) reveals the scheme and the mechanism by which the money for the “Hemus” highway that will connect the capital Sofia with the Black Sea city of Varna will be utilized – through non-transparent assignments to some companies, without public procurement but to “our people” to whom influential persons “are giving a hand”. This scheme operates at the moment at the sites maintained by Avtomagistrali JSC, while the RIA management is fully aware of what is going on. At the end of last year, the RIA signed a contract with Avtomagistrali JSC for BGN 1,124,880,000, excluding VAT, for the construction of 124 km from the “Hemus” highway. The State-owned firm has no right to hire subcontractors, but has announced that it will hire people and equipment for this huge infrastructure project. This has raised doubts that the construction funds would be handed to companies close to the country’s rulers. There is also publically available information that Executive Director of Avtomagistrali JSC, Stoyan Belichev, is close to Ginka Varbakova. These doubts about non-transparent absorption of funds for the “Hemus” highway are confirmed by what is heard in the recording. There is talk about some Ivan, who is already building at a “pilot” site near Malo Buchino (village near Sofia – editor’s note). The site had been assigned to Avtomagistrali JSC by the RIA. Ivan should be given a hand because he is working hard and is “ready to absolutely do everything possible”. It becomes clear that if the pilot project goes well and Prime Minister Boyko Borisov manages to cut the ribbon there before the elections, Ivan should be expecting big deals and a bright future. The conversation also involves other people with solid “general” connections who know Ivan and will help. The Avtomagistrali JSC Executive Director Stoyan Belichev and his contacts with Ginka Varbakova are also being discussed. The conversation has been accidentally recorded by a driver, who has called at the Road Infrastructure Agency, using phone number 02 9173 376, which, according to the RIA phonebook, is the office number of Mihail Rashkov, Director of the “Road Infrastructure Maintenance” Directorate. It seems that the recording has resulted from a blunder by the telephone exchange. Bivol processed the recording with a noise filter and has cut out a part that can allow the source to be identified. The original recording is kept in the editorial office and will be given to the law enforcement authorities if they see signs of corruption and wish to investigate it. Man: Well, how do you see it in time, Malo Buchino getting ready? Man: Because now, I have problems. I have problems with Malo Buchino. Woman: I know, I know, there are some things there. Man: The wall has fallen. The wall fell. Man: No, it is clear that he will participate. Woman: It will happen and will be on time, Ivan has an interest in proving himself and he knows it very well. And he is ready to absolutely do everything possible. Man: No, of course, I am aware of this it, we have been able to agree on things, him and I, only after two words, do not worry. The recording continues with a discussion of toll police and toll employees’ vehicles. Meanwhile, another man evidently enters the room because he is heard asking the first man a question about vehicle stickers. He receives instructions and is send away, and after that the conversation resumes. Woman: This Georgi Georgiev, it turned out… I have known him for a long time and he is a friend of, close to this general of (not audible) Miho Mihov he us (not audible) and now he is … So he also knows Ivan, he has also given a hand there, he claims, but I do not know when this person (not audible). Man: I think here, he’ll come here in a month. Woman: Will he come in here? Woman: Will he become director? Man: I do not know. Maybe it will be him, anyway, Doncho is now the person to decide whoever will become director. He has won, however, they put me here, and because of this… they put him back at the road unit (not audible). Woman: And you, just for the reshuffle. Man: No, me, I… I went with the notice to Doncho. Woman: Peter has also left. Man: No, he is not. And now, he was just on sick leave. Woman: But didn’t he get in trouble because of that tunnel? Man: Well, this is the norm there, they did get in trouble… if one acts like the prosecution should act. So, they cannot get Doncho, that is, remove him from his job, the prosecution. But my Nadya Sachanska and Fuchedzhiev, they can remove them because they are civil servants. Zhoro Zlatev cannot be removed. Of all of these, I tell you, only Fuchedzhiev and Nadya can be removed. You understand? The Prosecutor’s Office. Because of the tunnel. Female: Fuchedzhiev is a very good boy, I think. Woman: He, Belichev is asking Nanka today to meet, because you see what is happening, don’t you. Man: Well, of course he is asking him, these are all total stupidities, such political stories, anyway. Man: Well, no, no, I talked to him, I was pocking fun at him about this chick from Pazardzhik. Man: Even I know her (laughs). Man: No, no, they are targeting us, they want to close us. Man: But, yes, it has started from there. Woman: I wrote to (not audible), I asked what would happen, he had no idea. There is no director, no CEO yet, I do not know, he did not tell me. This was last week. Then, evidently in another conversation, the man gives instructions about some press release to the media about the progress of highway construction works and after that the conversation resumes. Man: No, no, no, in any case, there should be a wait. He can climb on the road shoulder on Thursday. Woman: And about Vankata (Ivan – editor’s note), this is it, I stand behind his strength, you stand behind me, he is all good. Man: Yeah, yeah, no problem, this is what I am telling you, the same, I want to do it, to do this pilot thing, then I think there is (not audible). Woman: Yeah, if you can give them a hand for these… deliveries, for sure there (not audible). Man: Will you go there? Man: Call her, no problem. Who is who in the recording? Bivol has sensible hypotheses about the persons behind the first names and the surnames mentioned in the recording. Doncho is most likely engineer Doncho Atanasov, an unchangeable member of the Board of Directors of the RIA. Zhoro (Georgi) Zlatev – Director of the RIA, Nadya Sachanska – Head of Department at RIA and Georgi Fudchedzhiev – expert at RIA are three of the people charged by the prosecution for the fatal incident with the fallen lighting in the Echemishka tunnel on the “Hemus” highway. Nanka is probably a nickname for the Deputy Minister of Regional Development and Public Works, Nikolay Nankov. So far we have no information about Georgi Georgiev, who is close to General Miho Mihov. Bivol identified one of the people in the conversation as engineer Mihail Rashkov, Director of RIA’s “Road Infrastructure Maintenance” Directorate. Asked whether he knew who is said Ivan, he denied it. On the question of who is working at the Malo Buchino site and what exactly are they doing, engineer Rashkov told us to turn to Avtomagistrali JSC, to which the RIA has commissioned the construction works on the “Struma” highway tunnel. When asked what wall has fallen, engineer Rashkov replied that it has been a wall panel, not a wall. Avtomagistrali JSC responded that they are not working at any sites near Malo Buchino. A team of Bivol, however, took pictures of repairs in the vicinity of the tunnel. The website of the company does not contain any information about such a site, subcontractors or any other information about the expenses. There is no information on the Public Procurement Agency’s website either, as the State-owned company is not required to conduct public procurement. That is why we were unable to identify either the company that is “digging” at Malo Buchino or the person named Ivan, who should be “given a hand”. The claims in the recording that Ginka Verbakova and Stoyan Belichev have known each other accidentally from their years in college and have no other relationship are not true, a check by Bivol showed. According to the Property Register, the two have had joint property deals such as renting farmland in the Pazardzhik region is southern Bulgaria. As Bivol wrote earlier, Ginka Varbakova’s business connections lead to individuals who are very close to Prime Minister Boyko Borisov and play cards with him at his home in the Sofia suburb of Bankya. Ginka is also very close to Maya Hristova, one of the ladies, whom #Yanevagate who is said to have had a love affair with Borisov, something that “had been known by half of Sofia”. Thus, an accidental recording clearly reveals the model for spending billions on the “Hemus” highway which is a priority construction site, and why not for other major infrastructure projects. 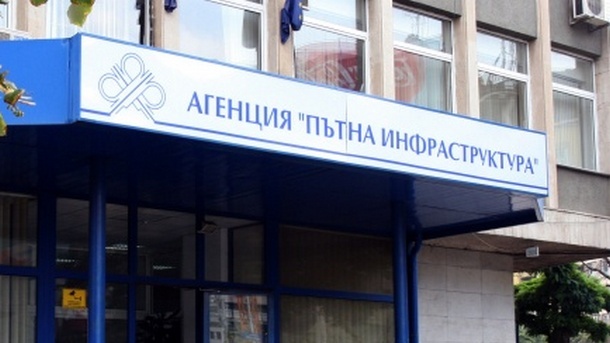 The RIA bosses assign tasks to Avtomagistrali JSC, while a business partner of Ginka Varbakova distributes these tasks under the table by “giving a hand” to Ivan or anyone else with whom he can reach an agreement just after exchanging only two words.